Liverpool are in advanced negotiations with Besiktas regarding a loan deal for Loris Karius. 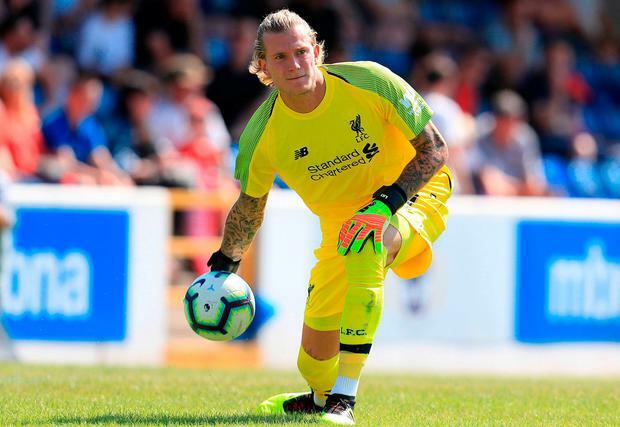 Karius is edging closer to a two-year loan spell at the Turkish Super Lig club, who will retain an option for a permanent deal. The 24-year-old lost his status as Jürgen Klopp's first-choice goalkeeper this summer following the £62million signing of Alisson from Roma. Karius' place at Anfield had been under scrutiny ever since his costly errors in May's Champions League final defeat to Real Madrid. With Alisson established as Klopp's first-choice, both Karius and fellow reserve goalkeeper Simon Mignolet are seeking regular playing time elsewhere. Mignolet failed to secure a move to Napoli last week before the close of Italy's transfer window and, should Karius leave on loan, the Belgian is likely to stay on Merseyside. Karius' contract with Liverpool runs until the summer of 2021. A two-season spell in Turkey would see him return to Anfield with one year remaining on his deal. In the kitchen upstairs at the Oncle Jean restaurant in Breda, a Dutch city an hour's drive south of Amsterdam, 16-year-old Abubakar Abdulle is emptying the dishwasher and listening in amusement as his manager explains why a British newspaper has come to visit.